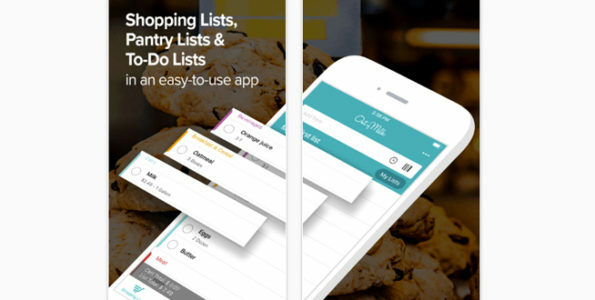 If you’re someone who’s not a fan of paper grocery list or just don’t have a grocery list at all when you go grocery shopping, then you might like this new app called Out of Milk. Out of Milk is basically an easy, virtual list app for any food or household items you need when you go to the grocery store, so you won’t forget anything when you go there. This app isn’t just set up where you put everything down on just one page, but instead this app was designed where it comes with three sections for you to list all of your items in. For instance, the app has a shopping list, a pantry list and a to-do list, so you can categorize each item that you plan to get in one of the three options, to make it a bit more organized. Another cool thing about this app, is that since it’s also virtual, once you have your phone with you, you never have to worry about your grocery list getting lost, torn or stained since it’s right on the app. So if you could see yourself downloading and using the new Out of Milk app, you can always be sure to download or learn more about it over at their official page at the App Store, where it’s currently going for free for any iPhone or iPad that runs an iOS 10.0 or later.